The just-unveiled new edition of the Range Rover Evoque didn’t have to wait long to find its timepieces soulmate. You may not remember that Zenith is the legendary British car brand’s watch partner, but right on queue they’ve come out with a suitably high-performance piece for the new SUV. 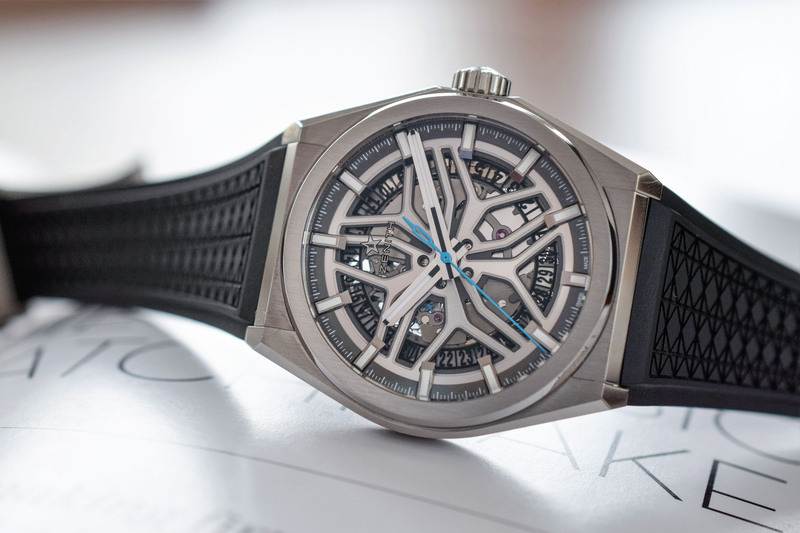 The Zenith Defy Classic Range Rover edition, limited to just 200 pieces this sporty luxury watch is priced at $7,500 each, measures 41mm and features a signature skeletonized dial. Zenith’s revolutionary monolithic silicon oscillator replacing the classic Swiss anchor, hairspring and balance wheel to form an all-new kind of automatic movement. Specially co-developed by design and technical engineering teams from both Zenith and Land Rover, some the watch’s most distinctive features are a seconds hand and oscillating weight finished in Arctic Petrol (turquoise blue) inspired by the accents on the new Evoque’s steering wheel and seats. The open worked dial meanwhile was inspired by the Evoque’s wheel design while the rubber strap’s texture is an homage to the Evoque’s quilted upholstery. The case is finished in brushed titanium and has a transparent crystal caseback. Zenith’s previous iteration and collaboration with Range Rover is just as much of a success as it was previously around.